POINT ROBERTS, Wash., Delta B.C., July 25, 2007 - InvestorIdeas.com, a leading global investor and industry research resource portal specialized in sector investing, issues the Sector Close Up – Electric Automotive Stocks, a review of electric automotive stocks as innovation drives investment. Investors are taking notice as they are realizing that what is good for the environment can also be very good for the wallet. Leading the way to a ‘green’ future is the electric vehicle market that offers consumers cost savings through efficiency, while at the same time giving investors following the sector, strong upside potential. Stocks in this segment have also received a boost as oil prices remain above $70 per barrel, and global warming has become a top priority among politicians and consumers. Overcoming some of the historical challenges found within the electric car market are companies that have placed their focus on research and development to introduce next generation transportation systems to the market. Recent announcements within this market have added a sense of confidence in electric vehicles as a viable transportation alternative. ZAP (OTCBB: ZAAP) a leader in advanced transportation technologies, has entered into a supply agreement with Advanced Battery Technologies (OTCBB: ABAT) for polymer lithium and nano batteries. The contract, valued at more than $5 million, will provide ZAP with high performance batteries to be used in their various lines of electric vehicles. Lithium ion battery manufacturer Advanced Battery Technologies (OTCBB: ABAT) signed an agreement with electric car company ZAP (OTCBB: ZAAP). ZAP CEO Steve Schneider, and ABAT Chairman Mr. Fu signed the agreement in Beijing. They are joined by Head of CCT John Honey. Azure Dynamics Corporation (TSX: AZD & LSE: ADC), a leading developer of hybrid-electric and electric powertrains for commercial vehicles, recently announced an agreement with FedEx Express, a subsidiary of FedEx Corp. (NYSE: FDX), for the development of gasoline parallel hybrid-electric powertrains for their delivery fleet. Global Electric Motorcars, a DaimlerChrysler company (NYSE: DCX), manufactures Neighborhood Electric Vehicles (NEVs) and has been working to meet the growing demand from island resort communities, areas that can benefit from the range, speed and versatility of NEVs. Global Electric Motorcars vehicles were the first multipurpose NEVs available for sale from a major automaker. Altair Nanotechnologies (NASDAQ: ALTI) most recently saw their shares climb on news of a joint development deal with AES Corp for energy storage products. AES is also a strategic investor in the Company. Altair shares are up 15% this month. Global Electric Motorcars, a DaimlerChrysler company (NYSE: DCX), has realized a steady climb moving up $27.42 or 44% year-to-date. Azure Dynamics (TSX: AZD) has been trading in the $0.65-$0.70 range this summer. RenewableEnergyStocks.com®, FuelCellCarNews.com® and EnvironmentStocks.com are global investor and industry research portals in the renewable energy and Greentech sectors within InvestorIdeas.com. RenewableEnergyStocks.com provides a variety of renewable and clean energy content including the Clean Energy News Blog, Renewable Energy Blog, articles by solar expert, J. Peter Lynch, and a regular ‘green’ column: ‘The New Power Fund,’ by Samuel F. Jones, President of All Season Financial Advisors. Additionally, InvestorIdeas.com offers a service for renewable energy and cleantech news and press release submissions at: http://www.renewableenergystocks.com/NewsUploader/ as well as research and article submissions at: http://www.renewableenergystocks.com/NewsUploader/Submit_Article/. Green companies can also gain instant brand recognition with Green Ads and Stock Symbol ads. InvestorIdeas.com Disclaimer: www.InvestorIdeas.com/About/Disclaimer.asp. Our sites do not make recommendations, but offer information portals to research news, articles, stock lists and recent research. Nothing on our sites should be construed as an offer or solicitation to buy or sell products or securities. We attempt to research thoroughly, but we offer no guarantees as to the accuracy of information presented. All Information relating to featured companies is sourced from public documents and/ or the company and is not the opinion of our web sites. These sites are currently compensated by featured companies, news submissions and online advertising. ZAP (OTCBB: ZAAP) pays Two thousand five hundred per month equivalent in shares for one year commencing Nov 2006, discounted as a courtesy to previous sponsorship of the InvestorIdeas Greentech contest. PALO ALTO, Calif. – July 19, 2007 – The Electric Power Research Institute (EPRI) and the Natural Resources Defense Council (NRDC) today released a comprehensive assessment that finds that widespread use of plug-in hybrid electric vehicles (PHEVs) in the United States could reduce greenhouse gas (GHG) emissions and potential for improved ambient air quality. The research measures the impact of increasing numbers of PHEVs between 2010 and 2050, including the nationwide environmental impact of potentially large fleets that would use electricity from the grid as their primary fuel source. The analysis is the first to combine detailed models of the U.S. electric system and transportation sector with sophisticated atmospheric air quality models — accounting for the future evolution of both sectors in technological advances, electricity load growth and capacity expansion. "This research accelerates our understanding of the interplay of emissions from various sources," said Steve Specker, EPRI President and Chief Executive Officer. "We now see that widespread use of PHEVs could expand the fuel options in our transportation sector and at the same time yield net benefits to our environment." The EPRI-NRDC study represents the most comprehensive analysis of the potential reductions of global warming and other emissions from wide-scale introduction of PHEVs over time. The study addresses the impact that lower-emitting electricity generation can have for increasing these benefits. "NRDC believes that a combination of more efficient vehicles, improved battery technology, and a lower-emitting electric power plant fleet can produce substantial reduction in global warming pollution from both the electric power and the transportation sectors, said David Hawkins, Director of NRDC’s Climate Center. "Our results show that PHEVs recharged from low- and non-emitting electricity sources can decrease the carbon footprint in the nation’s transportation sector." Several benefits result from the use of grid electricity as a transportation fuel. PHEVs can reduce direct emissions at the vehicle tailpipe and indirect emissions at the fuel source when they recharge by electricity produced by a portfolio of efficient combustion, non-emitting or renewable generation. It is this linkage to a cleaner grid that could enable PHEVs to produce less GHG emissions than conventional or hybrid vehicles. Using electricity produced from diverse domestic resources, PHEVs can reduce U.S. dependence on imported oil. The scale of the greenhouse gas benefit from PHEVs will depend on the efficiency of the vehicles, their range on a battery charge and the greenhouse gas emissions from the electric generation fleet. "The EPRI-NRDC study demonstrates that plug-in hybrid electric vehicles can contribute significantly to the national effort to reduce greenhouse gas emissions," said John E. Bryson, chairman and CEO of Edison International. "With public support, it is likely that someday millions of Americans will fill up their vehicles at the plug instead of the pump, saving money and protecting the environment." Plug-in hybrid electric vehicles combine operational aspects of both battery electric vehicles (BEVs) and power assist hybrid electric vehicles (HEVs). A PHEV, like a BEV, can be recharged from the electric grid, stores energy in an onboard battery and uses the energy while depleting the battery during daily driving. Unlike a BEV, a PHEV can use its internal combustion engine for propulsion in highway driving or when the battery is depleted. Because of this versatility, a PHEV can serve as a direct replacement for a conventional internal combustion engine vehicle or HEV. A joint EPRI-NRDC press conference will be held today at 10:30 a.m. in the Holeman Lounge at the National Press Club. Reporters may also dial into the conference by calling 1.800.926.9174. The entire PHEV environmental assessment will be posted online at www.epri-reports.org at 12 noon EDT, July 19, 2007. The Electric Power Research Institute (EPRI), with major locations in Palo Alto, Calif., Charlotte, N.C., and Knoxville, Tenn., was established in 1973 as an independent, nonprofit center for public interest energy and environmental research. EPRI brings together member organizations, the Institute's scientists and engineers, and other leading experts to work collaboratively on solutions to the challenges of electric power. These solutions span nearly every area of power generation, delivery, and use, including health, safety, and environment. EPRI's members represent over 90% of the electricity generated in the United States. International participation represents nearly 15% of EPRI's total R&D program. The Natural Resources Defense Council is a national, nonprofit organization of scientists, lawyers and environmental specialists dedicated to protecting public health and the environment. Founded in 1970, NRDC has 1.2 million members and online activists, served from offices in New York, Washington, Chicago, Los Angeles, San Francisco and Beijing. More information on NRDC is available at its Web site: www.nrdc.org. Investors and consumers can follow host Dawn Van Zant, in the new environmental podcast that will examine new technology, fuels and trends in the green transportation shift. As the transportation sector currently accounts for over one quarter of energy use and as the number of automobiles on the road increases globally, the race is on for new, green and environmental transportation. Topics will cover public and private companies with alternative technology and fuels, research and trends, industry experts, as well as the information resources available to make educated decisions. "Join me on the road to the green highways of the future. Part of the journey for me is facing my own personal transition, selling my much loved convertible and selecting my new environmentally friendly car," commented Dawn Van Zant. Listeners can submit ideas, suggestions and questions or participate in future interviews and share solutions. ZAP (OTCBB: ZAAP) – Ride the Future! ZAP is a Showcase Advertising Company on InvestorIdeas.com Renewable Energy Stocks, Tech Sector Stocks and Environment Stocks sectors, compensating the websites as disclosed in disclaimer below. POINT ROBERTS, Wash., Delta B.C., July 12, 2007 - InvestorIdeas.com, a leading global investor and industry research resource portal specialized in sector investing, issues Sector Close Up – Renewable Energy Stocks – Solar Stocks available now at Investorideas.com Research http://www.investorideas.com/Research/ as well as the RenewableEnergyStocks.com investor portal. Despite the growing competitive landscape for solar companies, solar stocks have performed extremely well over the past few months and for some, significant jumps in stock price have occurred within the past 6 weeks. JA Solar Holdings Co. Ltd (NASDAQ: JASO) has seen its stock price grow approximately 72% since June 1st, a jump of over $17 to its recent close of $41.10. In the same time period, First Solar, Inc. (NASDAQ: FSLR) is up more than $46.00 or 68% and SunPower Corporation (NASDAQ: SPWR) has appreciated more than $14.00 per share to $68.53. Hear from 14 experts and 6 public company CEO’s on how to participate in and understand the Green Technology long term trend. www.InvestorIdeas.com is a leading global investor and industry research resource portal specialized in sector investing. INVESTORS: Gain Free Access to stock & industry news, financial columnists & Blogs; investor research tools , stock directories, trading center, audio interviews, educational podcasts & online investor conferences. COMPANIES: Gain Investor & Industry Awareness: Submit News Releases, Featured Company Showcase, Participate in Articles, Podcasts & Online Conferences. Disclaimer: www.InvestorIdeas.com/About/Disclaimer.asp. Our sites do not make recommendations, but offer information portals to research news, articles, stock lists and recent research. Nothing on our sites should be construed as an offer or solicitation to buy or sell products or securities. We attempt to research thoroughly, but we offer no guarantees as to the accuracy of information presented. All information relating to featured companies is sourced from public documents and/ or the company and is not the opinion of our web sites. The site is compensated by featured companies, news submissions and online advertising. Music is the medium and change is the message with Live Earth - simple changes we can all make in our daily lives that can help the environment and combat climate change. As avid music fans of all ages watch musicians across 7 continents share the music and the message - we hear great music and learn how we can make gradual and dramatic change. From London to New York watching Genesis or the Police music fans heard how changing light bulbs to CFL energy efficient light bulbs can make major impact. If every household in America replaced 5 bulbs it would be the equivalent of taking 10 million cars off the road. Checking and regulating the pressure in our tires can give us 5-6 % more fuel efficiency. We are told to "answer the call" with messages of using one less paper napkin, planting trees, turning the heat down and unplugging our chargers when not in use. All of the simple changes suggested can cumulatively make a massive impact - and that’s the message- we can all do one thing to help the environment. According to Al Gore this evening - this 2 billion audience and online event is the largest entertainment event ever in all history! Investorideas.com is positioned as one of the leading global online destinations for Renewable Energy Stocks, Water Stocks and Green & Environmental Stocks . www.RenewableEnergyStocks.com®, www.FuelCellCarNews.com®, www.EnvironmentStocks.com www.Water-Stocks.com and www.GreentechInvestor.com are comprehensive global investor and industry research portals for renewable energy , water, environment and greentech sectors. POINT ROBERTS, WA and DELTA, BC – July 2, 2007 - www.RenewableEnergyStocks.com, a leading global investor and industry portal for the renewable energy sector, reports on developments in green cars and how the top three search engines, Yahoo!, Google and MSN are helping to educate consumers and promote change and innovation in the automotive sector. 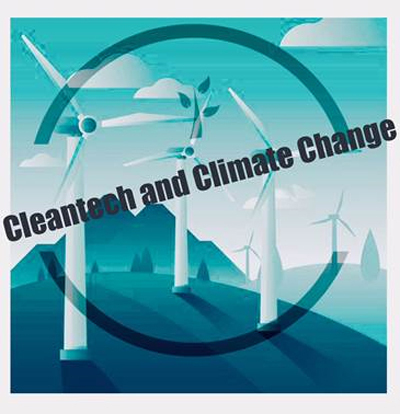 As Tech sector leaders Bill Gates and Google co-founders Sergey Brin and Larry Page play a leading role in investing in and deploying Greentech, they are also a driving force in changing the highways of the future. Yahoo! Autos launched the Yahoo! Autos Green Center in November 2006 http://autos.yahoo.com/green_center/ and has built a strong online following in the green space as consumers visit the site to view the top 100 Green Cars and research developments in hybrids, biofuel, electric and green autos. In announcing the launch, Yahoo! Autos reported, “According to a Yahoo! survey, one in every two people is interested in learning more about alternative fuel vehicles, which signals clear consumer demand for a product like the Green Center." Yahoo! Autos, in partnership with Environmental Defense, developed a Green Rating determining the environmental impact of vehicles on a scale of 1-100. The Green Rating is based on tailpipe pollution, greenhouse gas emissions, fuel economy and the manufacturing process, giving consumers the overall environmental friendliness of the autos on the list. Google’s mantra “Do No Harm” has taken on new dimensions as Google proactively promotes green auto initiatives through Google.org, its philanthropic arm. Google.org recently announced its RechargeIT initiative (www.google.org/recharge/ ) dedicated to reducing greenhouse gas emissions and oil dependence by helping to fund and bring plug-in hybrid electric vehicles to consumer markets. Dr. Larry Brilliant, Executive Director of Google.org tells us, "Google is committed to using its resources to help solve the global climate challenge. Google.org is hybrid philanthropy, bringing together the active engagement of the broader Google Corporation, as well as investments in for-profits, traditional grants, policy work, and public information. RechargeIT brings together all of these elements to help accelerate progress on plug-ins. By demonstrating new clean energy technologies and how they can be connected to the grid, we hope to spur demand and encourage car manufacturers to make these vehicles commercially available on a large scale on an urgent basis. "Kirsten Olsen, program lead for the RechargeIT project stated, "At Google.org, we are committed to finding solutions that can dramatically cut greenhouse gas emissions and offer alternatives to fossil fuels. We see plug-in hybrids and vehicle-to-grid applications as a significant step in greening the transportation sector and helping to mitigate global warming." As consumers turn to the online information highways to research choices in alternative fuels, green car news, technology developments and current green auto ratings, the “Big Three” in search engines are enabling and empowering online users to make informed environmentally conscious decisions. ZAP is a Showcase Advertising Company on RenewableEnergyStocks.com, TechSectorStocks.com and EnvironmentStocks.com compensating the websites as disclosed in disclaimer below. www.RenewableEnergyStocks.com®, www.FuelCellCarNews.com®, www.EnvironmentStocks.com and www.GreentechInvestor.com are global investor and industry research portals in the renewable energy and Greentech sectors within InvestorIdeas.com. RenewableEnergyStocks.com provides a variety of renewable and clean energy content including the Clean Energy News Blog, Renewable Energy Blog, articles by solar expert, J. Peter Lynch, and a regular ‘green’ column: ‘The New Power Fund,’ by Samuel F. Jones, President of All Season Financial Advisors.